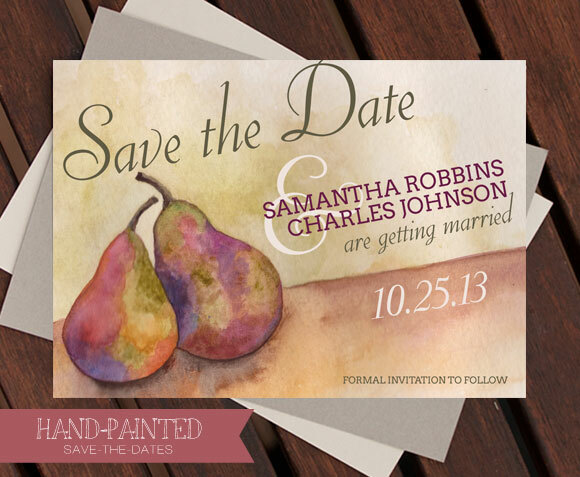 The Seckel Pear Save-the-Date has a lovely vintage feel to it. It would be great for the couple who is having a lot of vintage elements in their wedding. I think this vintage aesthetic works wonderfully with an Autumn wedding. There is something so cozy and charming about it. Also pears are seasonally appropriate for a wedding during the fall. Have I mentioned that Autumn is my favorite season? It is the season of learning and slowing down to notice all of the subtle changes in the air. It is crisp air, warm colors, charming pumpkins, apples galore, light jackets, and fantastic scarves! 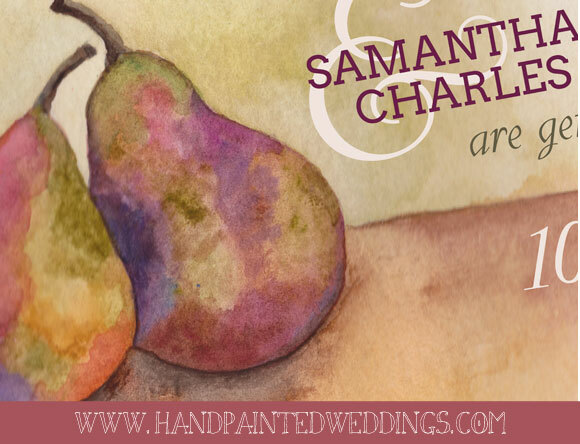 The Seckel Pear Save-the-Date is now available for ordering under the Shop Save the Dates tab.